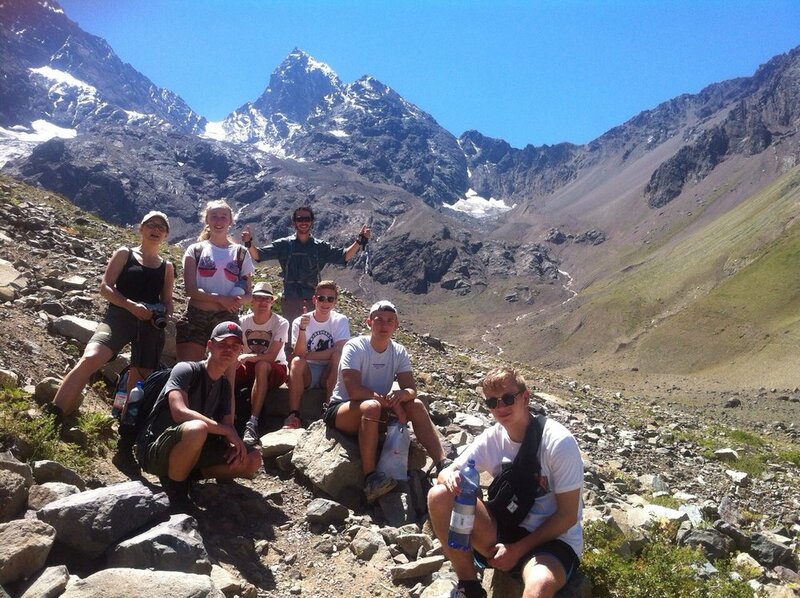 Immerse in the heart of the Andes, sharing adventures and nature with the best local guides. 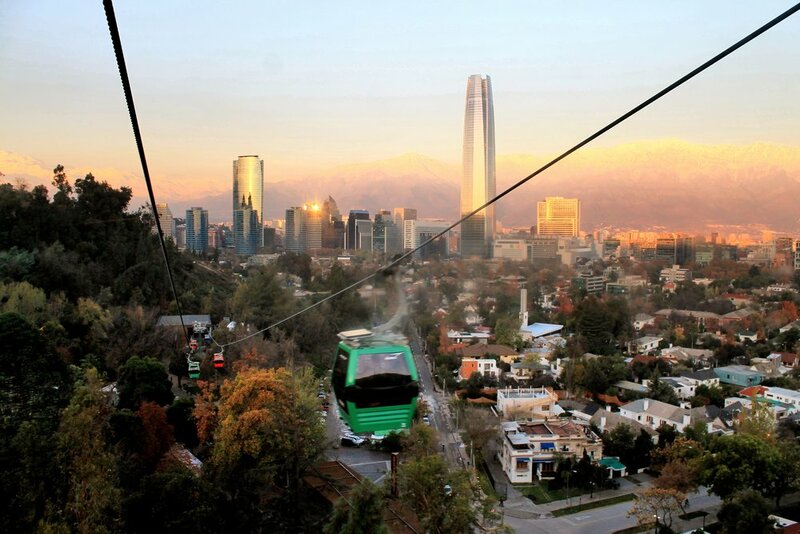 From the capital parks by bikes to the glaciers and hot springs of the volcanoes, in the Andes range. We will ride through native forests and play in the treetops in fun zip lines and rope games. We will know geological valleys walking through its mountainous landscape. We will spend the night in the ideal hotels to end each day full of adventure. Our driver will be waiting for you in the arrival of national or international flights to go at hotel where you can leave your bags and go out to visit the Lastarria and Bellas Artes neighborhood and have lunch. 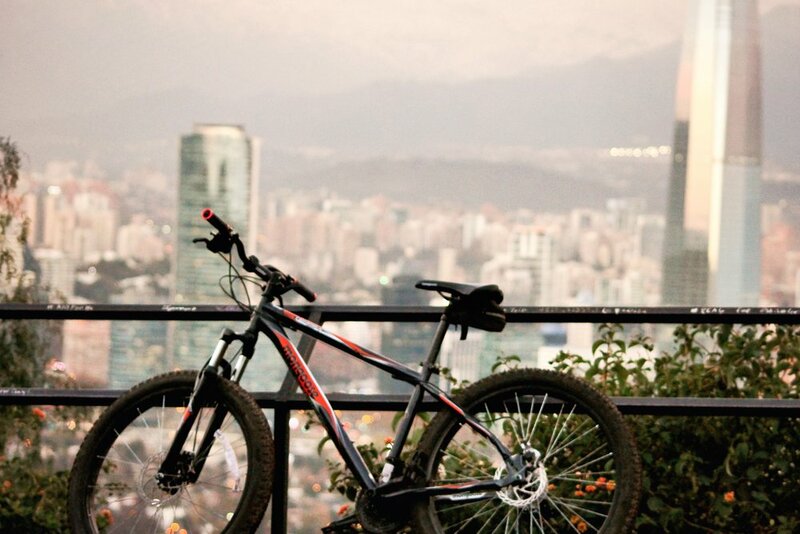 Then at 2:00 PM our bike-guide will be in the hall of your hotel for to start a Bike City Tour through the main points, parks & views of Santiago. A half day where our guide will give you a historical, cultural and socioeconomic view of one of the main and most modern capitals of South America. All through bicycle paths, parks and points suitable for the cyclist. Highlighs: Santa Lucía Hill, Armas Main Square, Cathedral, La Moneda Government Palace, La Constitución Square, Central Market, Mapocho Station, Forestal Park, Bellas Artes Museum, Bellavista Neighborhood, San Cristobal Hill (Summit). After the tour our guide will leave you at your hotel with some recommendations to dinner. Our guide will be waiting you in your hotel at 08:00 to pick you up and go toward the Andes Range. We will drive to the south of Santiago where we will find a “fresh air” and outdoor district of Cajón del Maipo. Following the river with the same name we will arrive into a Natural Sanctuary. Our first adventure will be an aproach with the chilean horse. We will meet with our local horse guide and then we will go to the stable. After connect with our horse and have a introductive briefing of horse riding, we will ride through native chilean forest arriving on the plateu where we will able to have a amazing view. Finishing the horse riding we will have a lunch into the Tribu restaurant located on the river border. After the lunch, and a little rest, we wil go to play on the treetops and ziplines in a Canopy adventure. You will go with all the safety equipment. Before to finish the day our guide will leave you into your Andes mountain hotel where you will check in and enjoy a amazing stars night. At 09:00 our guide will be waiting you at your hotel for to go more inside of the Andes Range. We will arrive until 1.900 m.a.s.l. where we will start our 5 hrs (aprox) hike arriving on the foot of a spending glacier. We will have a delicious Box Lunch for to enjoy in this amazing mountains views. After the hike we will take our transport again and we will drive until 2 kilometers before to the border with Argentina. There we will find the Baños Colinas Hotspring: A hot spings wáter coming from the San José Volcano. We will have a little cóctel with local food and after a relax bath on the Andes heart we will return to your hotel. Our driver will wait for you at your hotel to take you to Santiago airport where you can take your flight.